Susanne de Glee, creator of the Suussies brand, comes from the Netherlands. Its mark is the children's paradise. 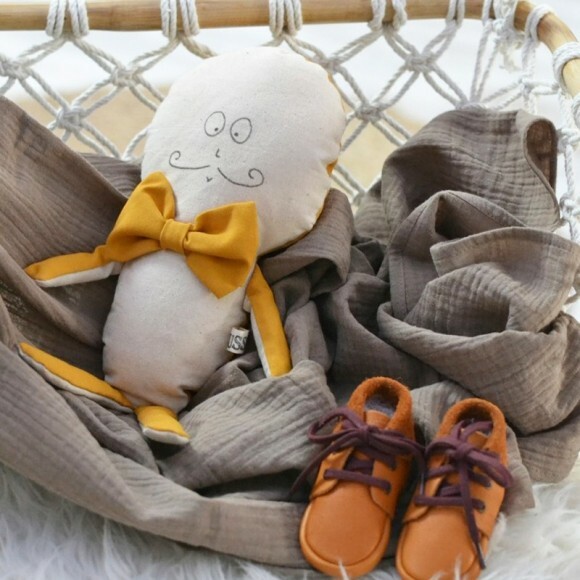 She proposes original and charming comforters, which will be adopted very quickly. 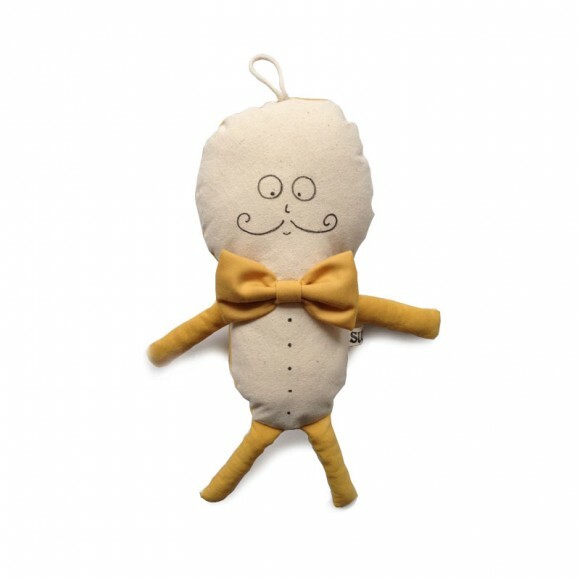 Mr. Dollie all in mustard yellow dressed with his pretty moustaches and his big bow tie will quickly become the star among your children's other cuddly toys. Original, one does not tire of its luminous color which changes pastel colors. Suusies also offers beautiful butterfly knots with flamboyant colors that your children will quickly adopt. Each piece is handmade and therefore unique. Your children will love them.